The cover image is from the Fashion Plate Collection at the University of Washington (UW) Libraries, Special Collections (order number COS 319), which consists of more than 400 fashion plates from the 19th and early-20th century. The hand-colored plates are from the leading fashion journals of their time and depict styles and dress from the Empire, Georgian, Regency, Romantic, Victorian, Late Victorian, and Edwardian periods. 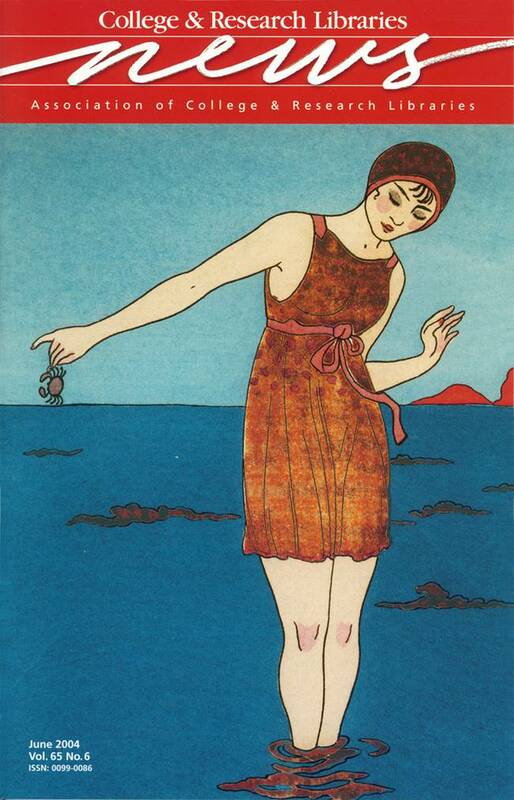 The bathing suit shown here is a 1913 design originally published in Journal des dames et des modes. Through UW’s Digital Initiatives Program, images from the Fashion Plate Collection are available online at content.lib.washington.edu/costumehistweb/index.html.